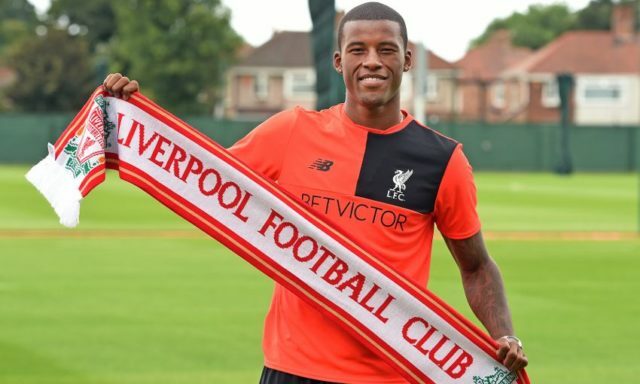 Gini Wijnaldum has given his first interview to the media since becoming a Liverpool player on Friday afternoon. In an interview with the official site, the 25-year-old Dutch international said he hoped to follow in Dirk Kuyt’s footsteps. “He deserved the fans’ respect at that time because he worked – he always works hard,” he said. Kuyt was one of the supporters’ favourite stars of the Rafa Benitez era. Signed for around £10 million in the summer of 2006, he played for the club for six years, scoring 71 goals in 286 games across all competitions. He eventually left in 2012, joining Turkish side Fenerbahce in a £1 million deal.